If you have always wanted to drive a luxury car but thought you couldn’t afford it, think again. Although luxury cars aren’t cheap they do tend to depreciate quickly. This means that pre-owned luxury vehicles are usually offered at prices well below those found at a new vehicle dealership. In addition to the cost of a vehicle, other factors to consider are the age of the vehicle, mileage and subsequent costs of maintenance or expensive replacement parts. 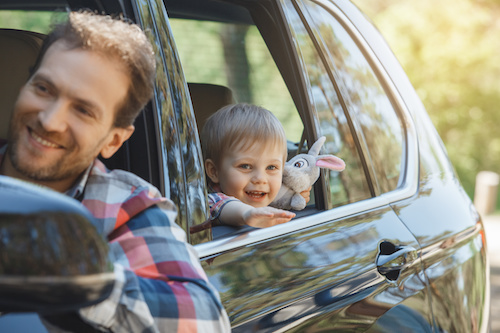 Auto experts have much to say about preowned luxury vehicles and frequently recommend top vehicles that outrank the rest. The following is a list of 10 top ranking luxury vehicles that are considered to hold their value and are usually priced below $20,000. 2012 Mercedes-Benz E-Class – selected for its abundant safety features, powerful V6 engine and roomy rear seats. 2012 Lexus RX 350 – is an award winning vehicle featuring a premium cabin, comfortable ride and exquisite infotainment systems. 2013 Audi A4 – powered by a fuel-efficient turbocharged engine that delivers agile handling and a smooth ride. 2013 BMW X3 – chosen for its high safety scores, responsive acceleration, infotainment features and impressive cargo space. 2015 Infiniti Q40 – has a strong V6 engine and offers remarkable driving dynamics. Standard features include a rearview camera. 2009 Porsche Cayenne – is a favorite for its posh interior, manual transmission and high-performance engine. 2011 Hyundai Equus – selected for its ultra roomy cabin, sunroof, front and rear heated seats and a refrigerator in some models. 2015 Lexus CT Hybrid – offers remarkable fuel-efficiency, has high safety ratings, Siri compatibility and a very low cost of ownership. 2013 Lexus ES – delivers a smooth ride, has an upscale and spacious interior, keyless entry, moonroof and alloy wheels. Our Used Car Dealership near Atlanta, Georgia has a wide selection of pre-owned vehicles to choose from. We offer a variety of used luxury vehicles that frequently include those listed here. We invite you to explore our used car inventory to see vehicle photos, mileage and pricing. If you have any questions or if you are looking for a specific used vehicle please contact us.